E-commerce is helping Chinese farmers improve their income, and the Chinese online shopping site Taobao under e-commerce giant Alibaba has set a great example in this regard by helping farmers build unique brands of agricultural products. Shen Zhubing, a farmer who has 0.33 hectare of millet land in Huai’an county, north China’s Hebei Province, told People’s Daily that he is now able to sell his millet even without stepping out of his house. Shen comes from Disanbao township, one of the poorest regions in Huai’an county, a national-level impoverished county at the junction of Shanxi, Hebei and the Inner Mongolia Autonomous Region. People in the township had very few sources of income, and they were not gaining much. Yet the Disanbao township is an ideal place for growing millets. In recent years, a millet planting base has been built in the village thanks to the support from Zhangjiakou Academy of Agricultural Sciences. At the base, villagers can get fine varieties and learn planting techniques. 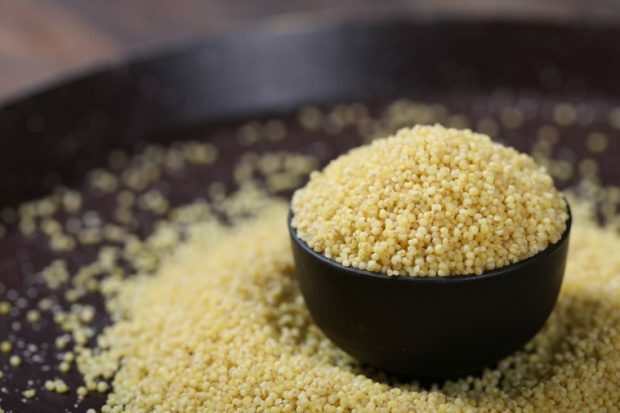 The millets produced there are in high quality and has become a well-known product in nearby regions. However, it was rarely known outside of the county. Most of the corps were sold to dealers who then distributed them to out-of-town processing factories. Such mode was not able to ensure stable income of the farmers. Fortunately, the situation has been changed thanks to a grain processing plant recently established in the county. The plant carries out intensive processing of the millets purchased from the farmers, and then sells them online under registered trademarks. Indeed, it was not an easy job for local cadres to run an online store as e-commerce was still novel to them. However, they have made great efforts to straighten things out. They set up a strict standard in raw material selection and processing regulation, entrusted a third-party testing agency for heavy metal and pesticide residue detection to ensure quality. In addition, they helped design the packaging logo, established a work group with staffs from e-commerce company to finalize promotion materials, and edit image and video advertisement. Besides, they also participated in the selection of logistics companies and the building of after-sale service. The millet product finally hit the online market of Taobao on December 9 last year. Ms He Zhenli, the first secretary of the Communist Party of China (CPC) branch of Disanbao village made video promotion for the processed millet product. The store happened to open during an online shopping festival of Taobao, thanks to which it sold more than 12,000 kilograms of millets in a very short period of time. Many local households benefited from it. The millet product later created skyrocketed sales and received high reputation, which can attributed to the core value and the major highlight of the product – being natural and organic. After the initial success, the county began planning future development. From this year, Disanbao village will improve the planting methods, and strive to standardize planting areas, varieties, specifications, raw-material acquisition, processing, and brand management. It will also apply for certificate of green and organic food, as well as geographical indication for agricultural products as soon as possible. Based on the experience in the promotion of the millet product, the innovative business model is now reaching more fields of the county. Now, strawberries and melon seeds produced in the county have also been put onto the shelves. Wu Zhanqiang, secretary of the CPC branch of Huai’an county, told People’s Daily that their ultimate goal is to standardize and expand agricultural production, and build brands for agricultural products through e-commerce, so as to improve added value and have the farmers enjoy the dividends of development.